CBSM is throwing the best Super Bowl Parties in town, yall! Make sure and check with your small group leader or friend on what you can bring. Make sure to check with your small group leader or friend on what time. We will give out the address and info Sunday morning at 9am during CBSM small groups. We want these to be the best parties in town, so come ready to have fun! Make sure to respect the home you’re in, though! Be courteous while you party! Hey CBSM Parents, Students, and Stalkers! Here are 5 quick things all yall need to know about CBSM this fall and for the rest of the semester! 1. Small Groups this Sunday AM. Yes, we are kicking off our brand new small group semester tomorrow morning! All of our 6th – 12th graders are invited to attend at the 9am or 10:30am hour starting with announcements all together in the student building. We have small groups for everyone at both hours. CBSM teens, please plan to bring a drink or breakfast snack for your small group to share. Scroll down to find more info on this below. 2. Student Ministry Teams this Sunday PM. 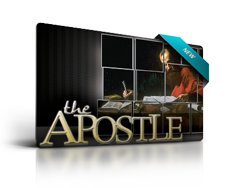 We want all of our students to come back this Sunday night at 6:30pm to join one of our “SMT’s”. At 6:30pm in the student building, I will teach our students really quick on how to discover their own personal spiritual giftedness, then we will announce the student ministry teams for the semester, and then they can pick their own student ministry team to serve on for the semester. Scroll down to find more info on this below. 3. Combined Worship Service this Wednesday PM. We have decided to combine our middle and high school ministries back together for Wednesday night worship services over the fall semester. This Wednesday we will kick it all off with a free cookout for all 6th – 12th graders from 6:00 – 6:25pm. We will crank up our combined worship service at 6:30pm, and there I will explain what all we have in store for our upcoming fall semester! 4. Back 2 School Bash: Wed, August 29, 2012. Our B2SB is one of the biggest events we do all year. The purpose is to bring as many teenagers as possible to CBSM at one time. We want to introduce them to Jesus, the gospel, CBSM, and Capshaw. So from 4:30 – 9:30 on Wednesday, Aug 29, we’re bringing in tons of games, inflatables, cooking up a on of food, throwing a crazy service, and ending it out with an awesome chill time together till 9:30pm. We want your students there bringing their friends with them! Scroll down to find more info on this below. I hope ALLLLL of this information helps you keep everything straight as we kick off our best semester yet in CBSM! 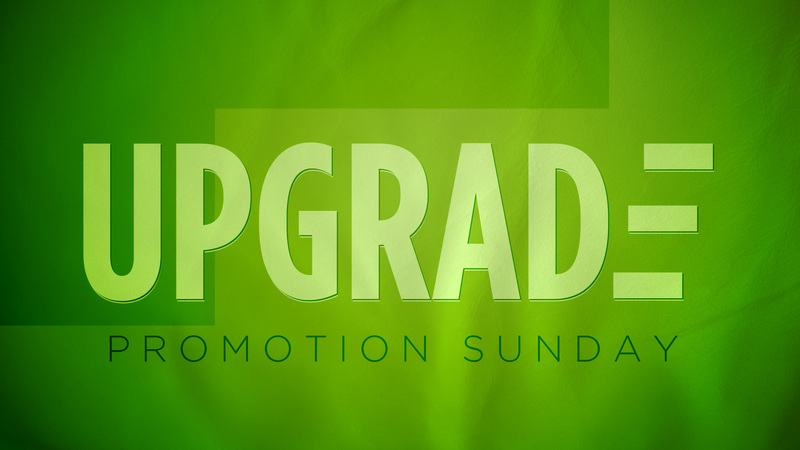 CBSM’s Promotion Sunday will be this Sunday, August 19th. All of our students will move up into their new small groups with new small group leaders to disciple and mentor them starting this Sunday! This is the perfect Sunday to get involved. All our our new small group students will get to know their new small group leaders, eat some breakfast together, meet all of the other teens in their small groups, and even set some personal/spiritual goals for this year. Our upcoming 6th graders will finally join us for our CBSM worship services, small groups, SMT’s, and events starting this Sunday! Our new SMT’s (Student Ministry Teams) will begin this Sunday night at 6:30pm! Our new combined worship service for both middle and high schoolers on Wednesday nights will start next week! I could not be more excited about all that God has in store this upcoming school year for CBSM! 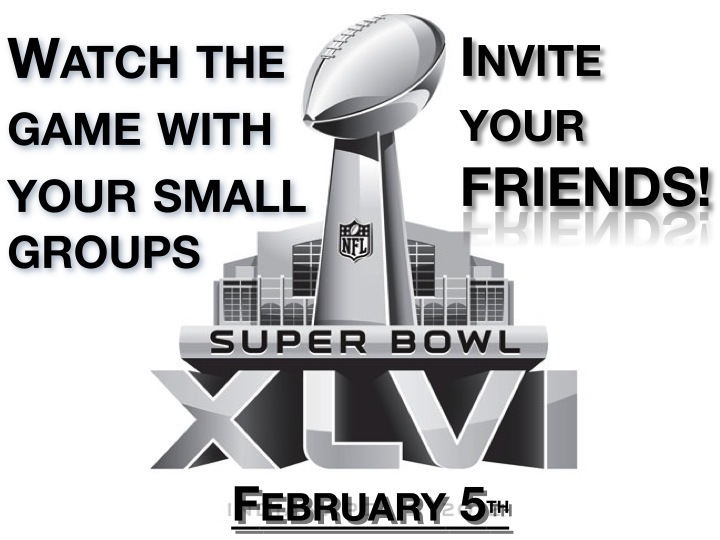 On Sunday, February 5, 2012 our Super Bowl Parties will be put together by all of our small groups. So make sure you either talk to one of our CBSM Small Group Leaders, to one of our CBSM students involved in our small groups, or feel free to contact me to find out where all the different parties will be at. We want all of our students to attend and bring a friend. 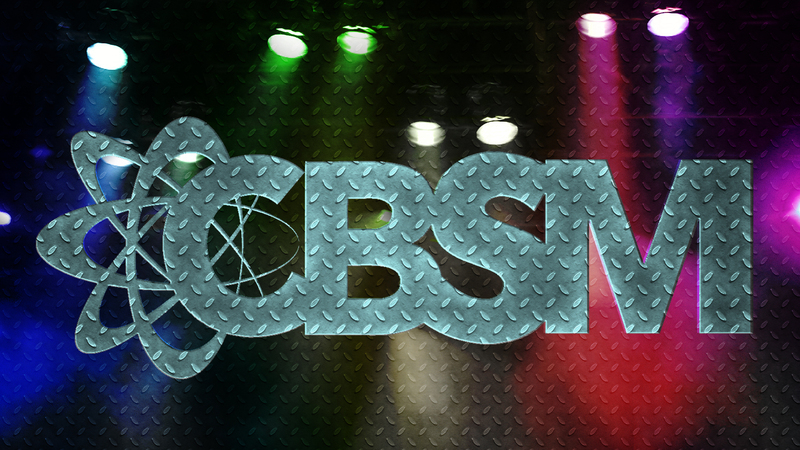 If you’re a guest or visitor that’s been coming to CBSM, we definitely want you to be a part of it all! And by the way, the middle School and high School small group that has the most in attendance at their party will get a free Krispy Kreme doughnut breakfast with chocolate milk, Milo’s sweat tea, and coffee in their small group the Sunday following the Super Bowl.